OK – so what really IS the BEST way to BBQ? It’s a debate that has been going for ages – but are you aware – there’s a CLEAR winner for BBQ-ing! Once upon a time – Aussies used flat-plate grills to cook their steaks and sausages. It was sometimes called BBQ; but was really just frying or grilling – done outdoors. a) Indirect cooking – for larger items like whole chicken, legs of lamb and larger cuts of pork and beef. The coals were lit and then off to each side of the meat – surrounding it with heat; introducing Aussies to the fantastic flavours of Kettle cooking. b) Direct cooking – for smaller cuts like steaks, chops and cuts of chicken and pork. Cooked directly over the coals (hence the name); they needed less time to cook. One of the benefits , was that the fat dripped DIRECTLY onto the coals – creating fantastic aromas and taste. The Indirect method captured SOME of this – but the direct method was streets ahead for the reasons mentioned earlier. However – there were those who genuinely struggled to get their coals lit – or were annoyed that it took a little bit of extra prep time. So BBQ manufacturers created propane fired Kettles and Hooded BBQ’s which seemed simpler and faster to fire up. Now – while there can be a place for propane fired BBQ’s (I do have one), to a great extent you lose most of the aromas and flavours – the fat from the meat simply CANNOT be allowed to drip onto the gas jets (otherwise they get dirty and block up). 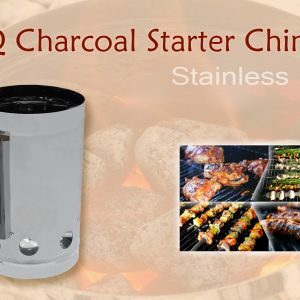 So – Charcoal fired BBQ’s are still #1 for aroma and flavour – in fact, in the USA among the serious BBQ pro’s – who hold BBQ Competitions; you won’t find a single propane “barby” at all! And – the pro’s don’t even use the coals shown in my picture – they use nothing but “Lump wood Charcoal” – in other words; real WOOD Charcoal. 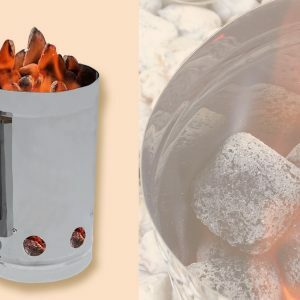 Lump Charcoal is now available in Australia too! It is natural wood; heated in a low oxygen environment – to make lumps of real Charcoal. Now I am not so much of a purist that I feel I must only use this – but you can and it’s the best fuel for Charcoal BBQ’s. 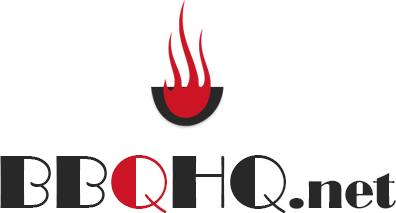 SO – how do you overcome the two issues that saw some people turn away from Charcoal BBQ’s ? 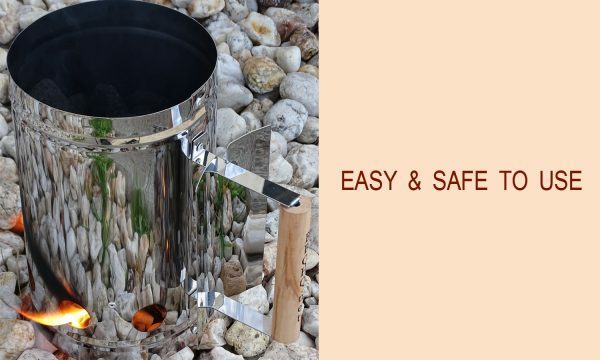 It’s really simple – use this low-cost High Quality BBQ Charcoal Starter Chimney. 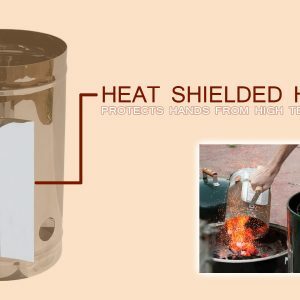 It can be used with either real “Lump Charcoal” – or the pressed coal – “Bead” type fuels. 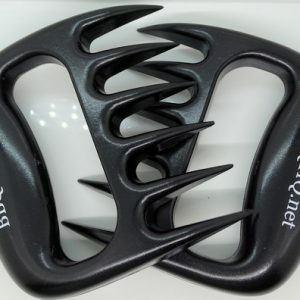 And in one hit – this gadget solves the three issues – very SIMPLY. 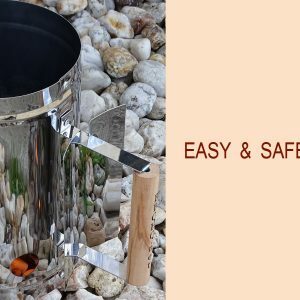 First off – it makes getting the fuel lit, totally fail-safe – you see, with any of the pellet-type lighters; you are guaranteed a fire. Secondly – it maximises your safety in handling the hot coals. Thirdly – it dramatically accelerates your light-up time, using the up-draft principle. The rising hot air pulls more and more air in from the bottom – accelerating rapidly. 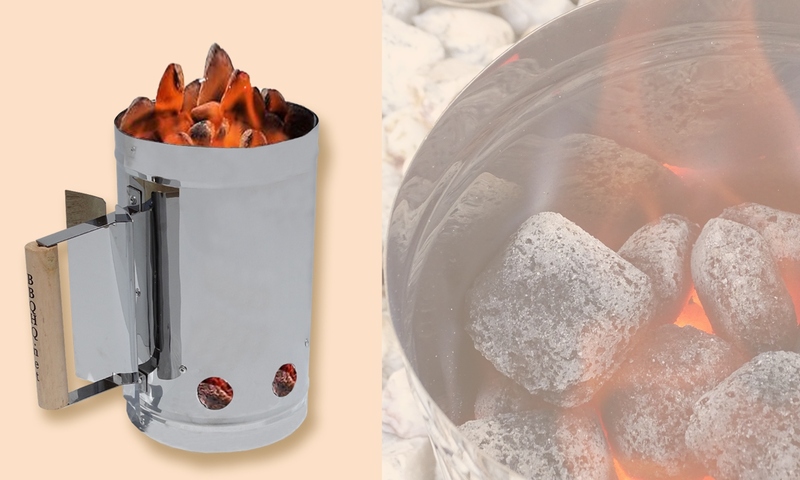 Once you have dropped (and lit) 2 – 3 pellets under the Charcoal or bead type fuel – just walk away – and return after about 30 minutes; when your fuel will be ready to tip into place on your BBQ. heat-up time pretty close to that of a gas-fired Hooded or Kettle type. One (or two) of these Chimneys will return all the pleasures of Charcoal BBQ-ing. I have two – one for smaller sized meal cooking; and the second for larger cuts like lamb or pork legs. To get them started there are a number of fire-starter pellets on the market (and you can even use scrunched up balls of paper). Personally I prefer to use an all-natural wax and fibre based pellet; with the brand name – Samba. 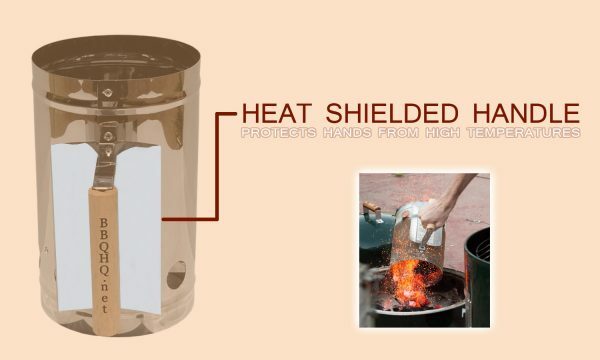 These totally remove the kerosene smell that other pellets have. OK so now I hope that I have encouraged you – to get back into Charcoal cooking – and to get back full-flavoured cooking. 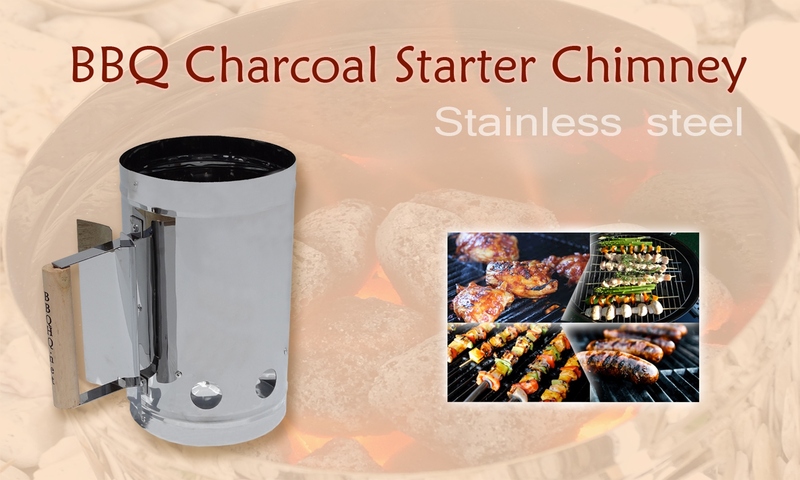 OR perhaps – you have never owned a Charcoal BBQ? What better time to explore – that BIG BBQ taste? Here’s why mine is the best that your money can buy. Mine will last you many, YEARS. NOTE – that it is normal for Stainless steel to change colour after being heated. This does NOT affect the lifespan of the metal. 330 Grade Stainless steel quality – for just $31:15 – with FREE Postage.